Mumbai: A complaint against a medical practitioners is reported to have been filed with the Maharashtra Medical Council, alleging that the doctor has indulged in issuing fake disability certification, to enhance claim of patients in motor cycle accidents. “Khanna has been issuing disability certificates standing under the trees outside the Motor Accident Claims Tribunal office for the past three years. As per the guidelines prescribed by the MCI, private practitioners are not allowed to issue disability certificates. Only doctors appointed by the government practicing at government hospitals can issue a disability certificate. 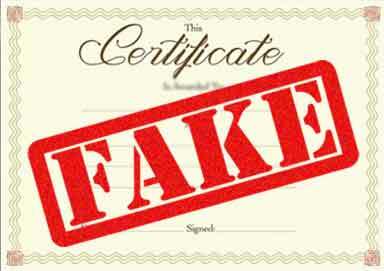 No private hospitals or private practitioners can issue the said certificate. It is against medical etiquette and ethics,” adds the complaint. The concerned doctor, however, denied all charges. Speaking to the Free Press Journal, Dr Naresh Khanna said, “It is a rumour. There is no truth in it.” He refused to answer further questions. FPJ adds that the complaint has been accepted by the council. With this enquiry on the same is expected to come up soon. ONLY THAT M.S.ORTHO HAVING 3 YR TEACHING COURSE SHOULD BE ALLOWRD TO GIVE PDC IN CLAIN ACCIDENT CASES ONLY ONLY…..BECOS FOR CASES LESS THAN 30% pdc ARE NOT ENTERTAINED IN GOVE ..HODNORTHO…AND THEY HAVE LOTS OT OTHER WORK…FITNESS..MED BOARD..PDC…CASES..MANAGEMENT..STAFF.HOSPT.MLC..ETC.ETC.. BUT WHEN THE PG DEGREE IS OK THEN THE COURT DECIDES ITBY ASKING MANY QUESTIONS TO DOC.. SO TREATING DOC.OR PG PERSON CAN GIVE IT ON HIS OWN RESPONSIBILITY..
PL.DONT BURDEN GOVT INSTITUTIONS FOR THESE MINOR PDC…..AS THE GOVT HOST CANNOT GIVE IT TO LESS PDC CASES..
AND THR GOVT.DOCTOR WILL LEAVE HIS JOB WORK..ONLTO ATTEND 10 CASES PDC IN COURT OF LAW…leaving all work half finished..